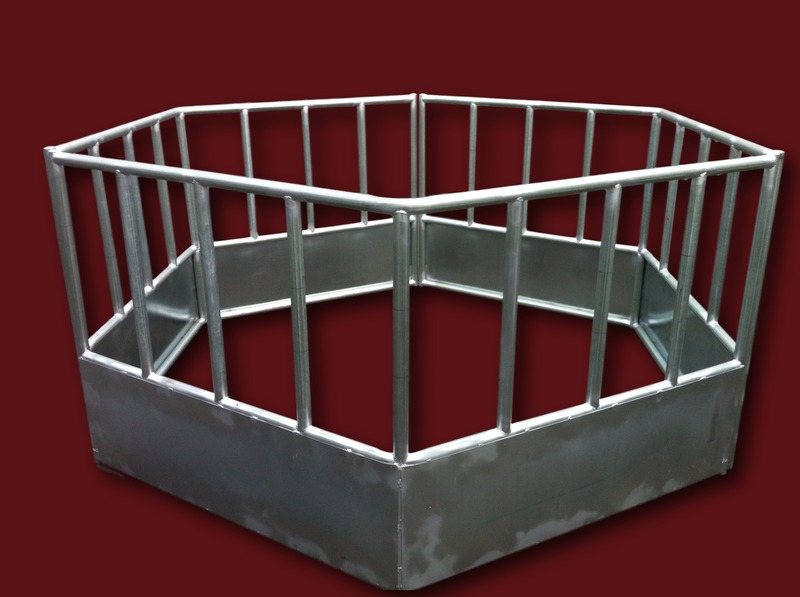 SC Barn’s feeders are designed with galvanized steel and rubber feed tubs for strength and durability. 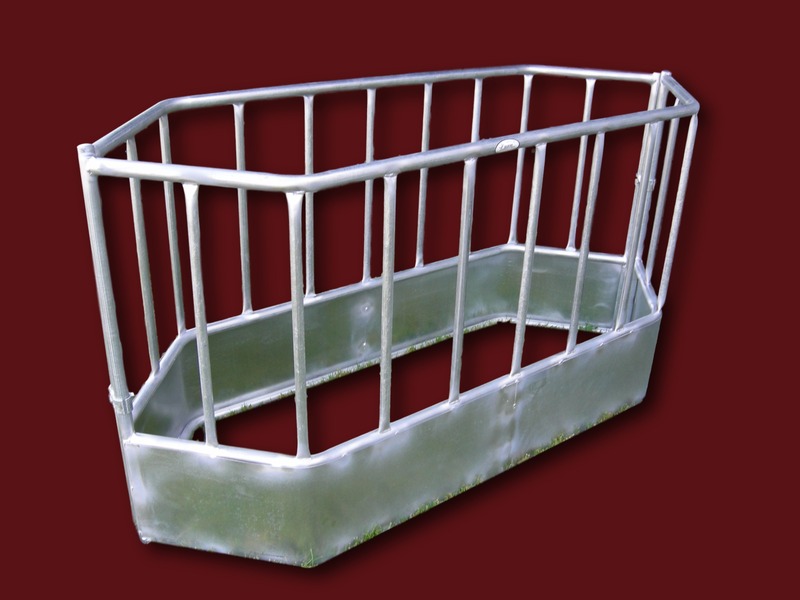 Feeders are built with rust resistant galvanized steel, and UV resistant tubs. All tubs come with a 5 year warranty. 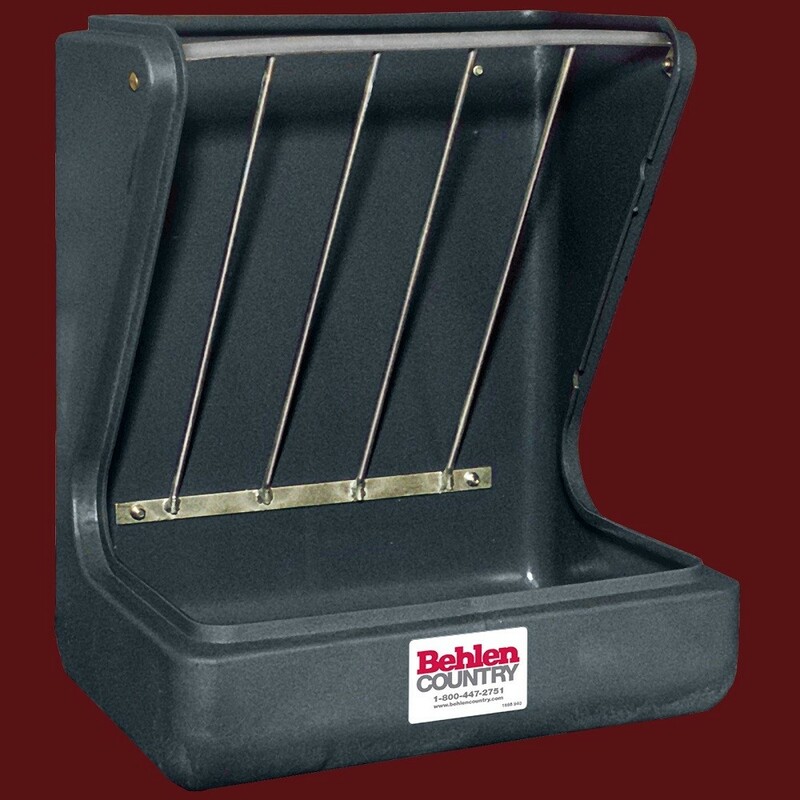 SC Barn’s Feeders are guaranteed to last! 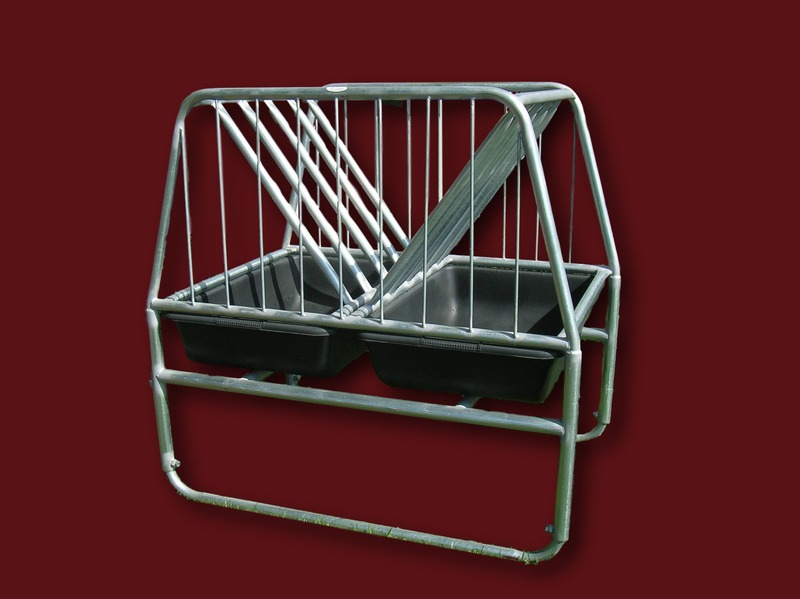 SC Barns also stocks many other feeders which include Behlen wall feeders, hay racks, poly wall feeders and swing out corner feeders. 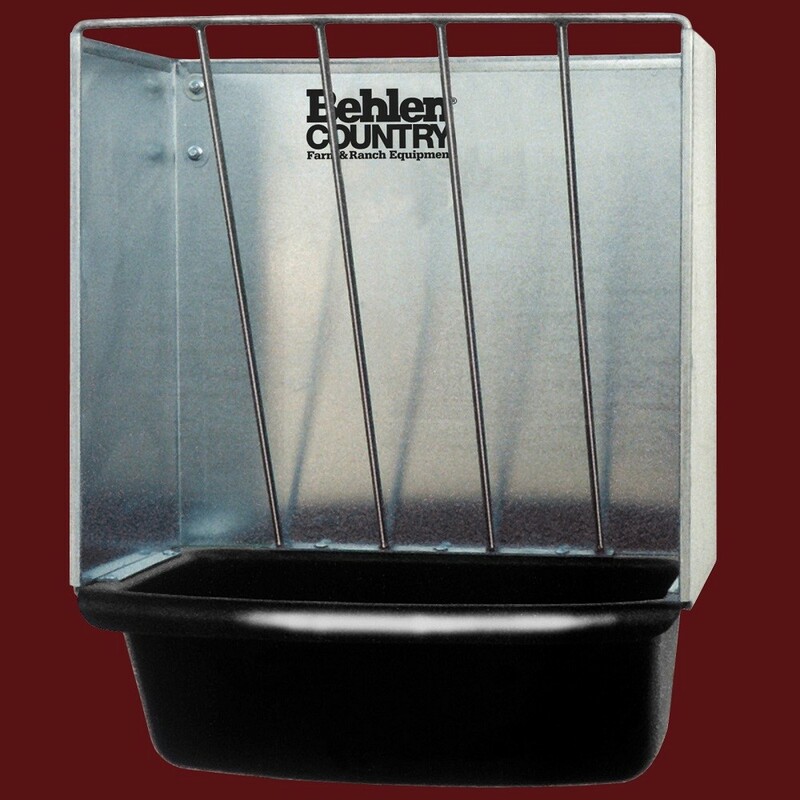 SC Barn's feeders are designed with galvanized steel and rubber feed tubs for strength and durability. 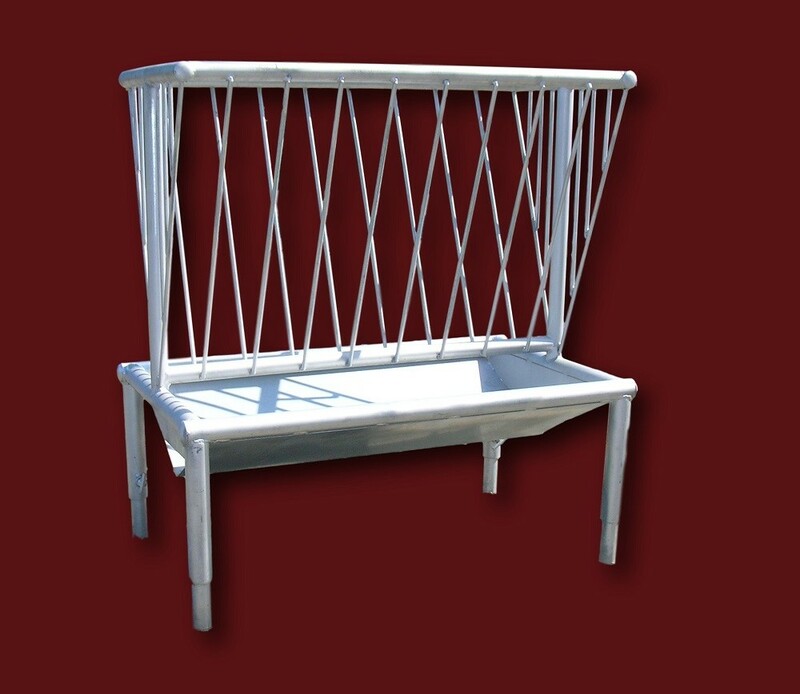 Feeders are built with rust resistant galvanized steel, and UV resistant tubs. All tubs come with a 5 year warranty. 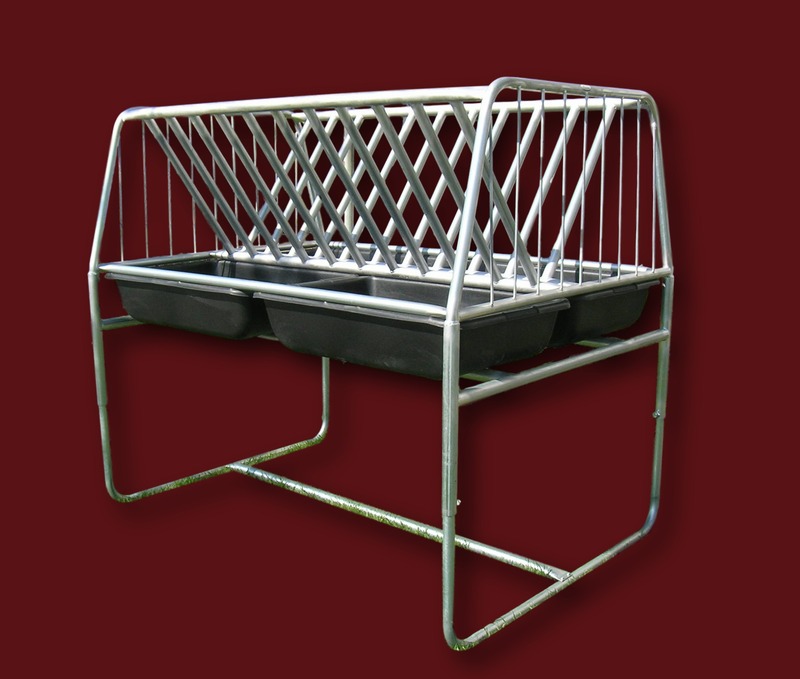 Sheep feeders are available in 3', 4', 5' and 6' lengths and come with adjustable legs for all types of farm animals. You can use these feeders for goats and miniature horses too. Feed up to 24 head! Small one hay bale feeder for sheep or goats.